The JSE was not spared by the global equity rout which started in the US overnight as the local bourse closed weaker on Wednesday. US stocks plummeted on Tuesday as economic growth concerns emerged due to falling US Treasury yields. The primary cause of concern is the potential inversion of the long and short-term treasury yields, due to long-term yields falling faster than the short-term yields which results in an inverted yield curve. This is of concern for market participants as historically an inverted yield curve has preceded a recession in the US whenever the phenomenon has occurred. Overnight, the Nasdaq slumped 3.8% while the Dow Jones and S&P 500 dropped 3.1% and 3.24% respectively. Asian equities fell on Wednesday as the Nikkei dropped 0.53%, while the Hang Seng and Shanghai Composite Index lost 1.62% and 0.48% respectively. In Europe, the trend was also mostly weaker. Listed property stocks remained under pressure as Delta Property Fund [JSE:DLT] lost 9.47% to close at R4.30, while Rebosis Property Fund [JSE:REB] fell 8.5% to R2.80. Sanlam [JSE:SLM] was weighed down by the release of its operational update which resulted in the stock closing 4.08% weaker at R76.84. Old Mutual [JSE:OML] pulled back to close 3.98% lower at R22.45, while Liberty Holdings [JSE:LBH] lost 3.15% to end the day at R107.96. Rand sensitives also struggled which saw Nedbank [JSE:NED] closing at R266.22 after dropping 2.67%, and Massmart Holdings [JSE:MSM] shedding 2.64% to R104.87.Miners filled the bulk of the day’s biggest gainers as stocks such as Harmony Gold [JSE:HAR] rebounded from Tuesday’s losses to close 3.82% firmer at R22.00, while Kumba Iron Ore [JSE: KIO] gained 3.54% to close at R260.93. Palladium is now trading at a higher price than gold, which continues to buoy stocks such as Sibanye Stillwater [JSE:SGL] which climbed 2.52% to close at R8.95, while Lonmin [JSE:LON] managed to post gains of 2.1% to close at R8.26. 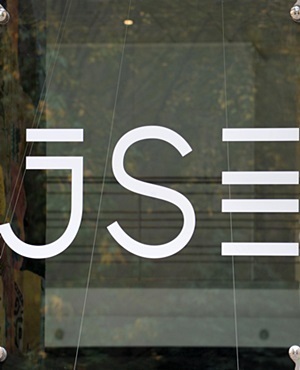 The JSE All-Share index closed 1.03% weaker while the JSE Top-40 index lost 1.06%. The Resources index was unchanged on the day however the Industrials and Financials indices dropped 1.14% and 1.82% respectively. Brent crude clawed back some of its losses which saw the commodity trading 0.24% firmer at $62.23/barrel just after the JSE close. At 17.00 CAT, Gold was 0.21% weaker at $1 235.91/Oz, Platinum had lost 1.51% to trade $792.50/Oz, and Palladium was up 2.16% at $1 259.03/Oz.Bitcoin was down 4.31% at $3 886.10/coin, while Ethereum was down 4.99% to trade at $107.49/coin.